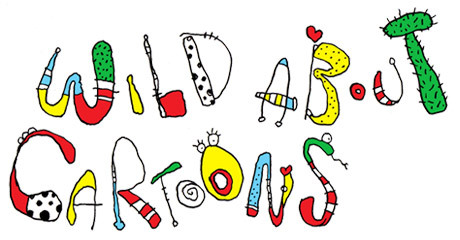 Wild About Cartoons is a 51 episode TV-show, broadcast by NRK Super, TV2 Denmark, Astro, Multimania, TRT and many more. The show follows Øistein travelling around the world where he meets and gets inspiration from various animals. Afterwards he shows how to draw the animals he has seen. All the cartoons are designed to be as simple and logic as possible for children to follow. As each episode progresses, Øistein draw animals form around the world, fish, birds, dinosaurs, monsters and fantasy creatures. The setting and voiceover is simple and focusses childrens’ attention towards drawing. The step-by-step demonstrations are accompanied with a comprehensive voice over explaining the logical build up of each step.